Yamaha rider Xavier de Soultrait scored his first career Dakar Rally stage win on Wednesday, as several big names hitting trouble prompted a reshuffle of the overall leaderboard. 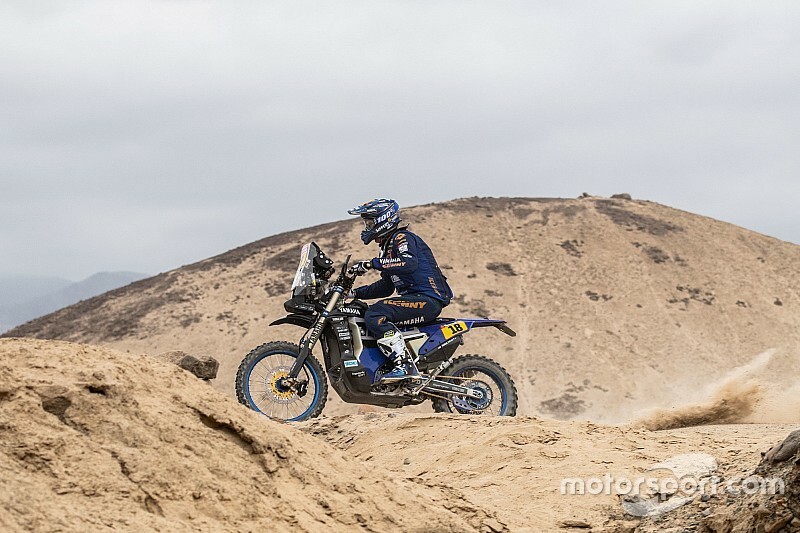 Overnight leader Joan Barreda was forced out of the rally altogether as the Honda rider became stuck 143km into the 331km San Juan de Marcona-Arequipa stage. Not long afterwards, the remaining riders in the overnight top three - KTM's reigning champion Matthias Walkner and Barreda's Honda teammate Ricky Brabec - both got lost, dropping more than 20 minutes. Walkner's fellow KTM rider Toby Price likewise lost a little under 15 minutes. The prime beneficiary of their woes was de Soultrait, who started the day in 12th overall and 16 minutes off the pace. 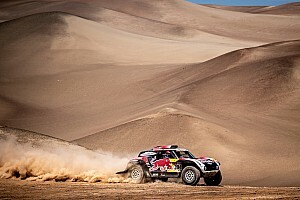 He took command at the third waypoint, and managed to hang on to lead for the remainder of the stage to take a narrow 15-second victory over Husqvarna rider Pablo Quintanilla. As such, Quintanilla, who began the stage fourth overall behind Barreda, Walkner and Brabec, now moves into the lead outright to the tune of 11 minutes and 23 seconds over Honda's Kevin Benavides. Benavides was third-fastest on the stage, 2m37s adrift of de Soultrait, followed by another Yamaha rider in Adrian van Beveren and Sam Sunderland, the only one of KTM's three champion riders to enjoy a trouble-free day. Sunderland climbs from sixth to third overall, 12m12s behind Quintanilla, followed by van Beveren, Price and de Soultrait, who remains almost 17 minutes off the lead. Brabec and Walkner have slipped to seventh and eighth places, 18 and 21 minutes adrift of the lead respectively. In the quads classes, Jeremias Gonzalez ended Nicolas Cavigliasso's stage-winning streak by coming out on top on Wednesday's stage, edging ahead by 1m44s. However, that made only a small dent in the handsome advantage built up by Cavigliasso, who continues to lead by 29m52s over Gonzalez, who jumped up from fifth overnight. 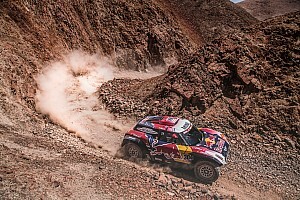 Gustavo Gallego slipped to third overall after finishing in the same position on the stage, just 28s behind Gonzalez, while Giovanni Enrico and Alexandre Giroud round out the top five.